Cloud computing has become so mainstream these days that it’s hard to find a business that hasn’t deployed, or at least considered it. In fact, a recent survey found that over 90 percent of organizations are now using the cloud, and that a majority of businesses’ IT spending will go towards cloud solutions in 2017. At this point, organizations that continue to dismiss the cloud are at risk of missing out on major opportunities and of falling behind the competition. So if you're still hesitant about moving to the cloud, here are four signs that show you might be overdue for a cloud migration. 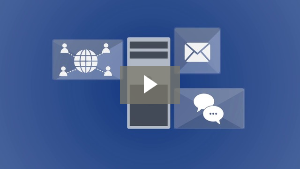 A lot of time and money is required to deploy and manage on-premises infrastructure. There’s hardware, network configuration, software licensing, and installation costs, electricity, cooling, and ongoing IT maintenance. And, as your business grows, you have to purchase additional computing resources just to keep up with increasing demand. Small- and medium sized businesses simply don’t have the budget to afford all this. 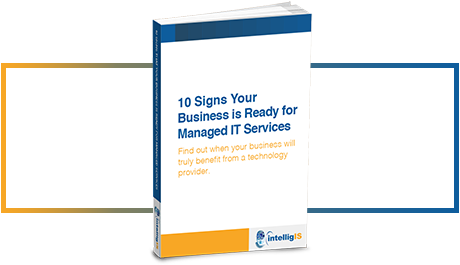 Cloud providers help your IT budget go farther by taking some of the technology burden off your plate. They’ll handle installations, hardware and software maintenance, and network optimization for you, all for a low monthly subscription fee. And if you ever need to scale up your operations, cloud providers can also add processing power, storage space, and user accounts on demand with a few mouse clicks. Hard-to-find data is a surefire sign that it’s time to move to the cloud. When you have multiple systems for accounting, marketing, and production, your files tend to be scattered in several locations, preventing you from finding them quickly and easily. But by storing data in one centralized database, you can find documents across your entire company within seconds. Cloud storage tools such as OneDrive or SharePoint, make it so you simply have to type in a document name in a search bar to retrieve whatever file you were looking for in the blink of an eye. If your company’s idea of collaborating on a document is printing out a hardcopy, editing it manually, and passing it onto the next person, then you definitely need an upgrade. And as more employees demand the option to work remotely, you need to have some hi-tech tools. The cloud promotes collaboration with real-time access to documents from virtually any location where there’s a stable internet connection. Cloud-based software like Office 365 allows you and your employees to work on Word, Excel, PowerPoint, and Outlook files from anywhere, and you can create a shared calendar and inbox with your team so they’re always on the same page. For more immediate feedback, you can even make calls or set up video conferences with the built-in Skype for Business feature. This helps you reduce travel expenses, eliminate old, time-consuming processes, and ultimately increase productivity. Is your data safe from cyberattacks? Do you have backups tucked away in secure, offsite data centers? Your legacy, on-premise systems probably lack the safeguards necessary to ensure the confidentiality, integrity, and availability of your files, and that means it’s time for the data-protection solutions that cloud computing provides. When you move to the cloud, your provider will partner with you secure your data with storage encryption, protect your networks and operating systems from intrusions, and install backup and recovery solutions to keep your data safe. This is especially important if you are subject to advanced compliance regulations and require the highest levels of data security. If any of these situations sound familiar, contact us right away. Our team of experts have years of experience with the cloud, and know how to make the migration process as smooth as possible. Visit us at www.intelligis.com.